To maintain good eye health, Vitamin A is essential nutrients. Found that vitamin A deficiency is the only one the biggest causes of childhood blindness is preventable. People most at risk are children between six months to six years, pregnant women and lactating women. This is because vitamin A to maintain healthy cells in the eye and the various structures needed to convert light into nerve signals in the eye called the retina. When vitamin A is not available to the body, gradual change began to affect the eye. The first sign of trouble is when a child or pregnant or lactating women found it difficult to adjust to see in the dark. This condition is called night blindness. Bitot Spots: This is a white cheese like tissue spots that develop around the eyeball, causing severe drought in the eye. Blindness: Once set in dry eye, the eye becomes very sensitive. Eyelids become swollen and sticky. This ultimately causes irreversible blindness. To successfully reduce vitamin A deficiency, adequacy of intake of vitamin A should be ascertained. Fort foods: Vitamin A is added to foods such as oil, sugar, milk and flour helps to provide vitamin A when a regular diet does not contain adequate amounts of vitamins. 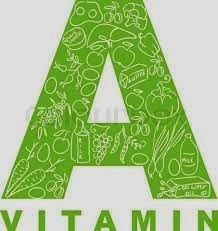 Vitamin A supplementation: This involves the intake of high doses of vitamin A drops or syrup in children between 6 months and 6 years old, twice a year.